The Viessmann Group was founded in 1917 as a family business. It now has over 9,000 employees and generates 1.86 billion Euro in annual group turnover. 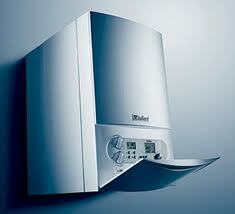 Viessmann manufactures boilers for commercial and industrial buildings and local heating networks. 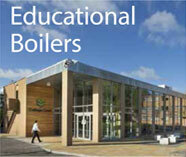 They now have an Academy which provides basic and advanced training courses for heating contractors, planners, architects, property developers, flue inspectors, technical education institutions and Viessmann’s own employees. Viessmann received the German Sustainability Award 2009 in the category “Most Sustainable Production” as well as the German Energy Agency’s Efficiency Award in 2010. In 2011, they were awarded the German Sustainability Award in the category “Most Sustainable Brand”. We can service or repair all types of Viessmann Boilers including the Vitomax 200-WS, Vitomax 200-LS, Vitocrossal 300 Type CM3, Vitocrossal 300 Type CT3, Vitodens 200-W and the Vitocrossal 300 Type CR3.